Looks great to me, Castlevania games are usually extremely addicting with there fun gameplay. I think a lot of people will be downloading this when it's released in the states (whenever that is). This will most likely be some Christmas money spending on this game. Assuming it's anywhere near as fun as the old one with some worthy upgrades it should be a blast. I think I like the DS versions the most though. Not that that matters to this conversation. Now if we could just have a real 3D Castlevania game on the Wii. 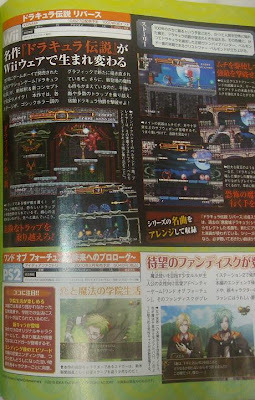 Do you really want a 3D Castlevania? For me personally, I think it will always be better in 2D. At least until they actually can make a 3D version that out classes the 2D offerings.